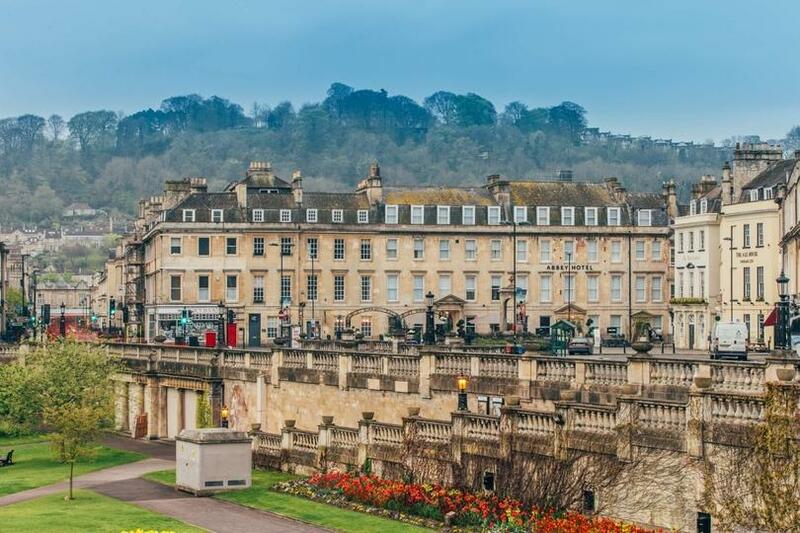 Comprising three original Georgian townhouses on the historic North Parade, just a short stroll from all the major sights in the city, the Abbey Hotel is the ideal base from which to explore Bath. Privately owned by award winning hoteliers Ian and Christa Taylor since 2012, they have invested in the property to create a unique, stylish and genuinely welcoming 62 bedroom boutique hotel. The rooms offer free super fast Wi-Fi as standard, bespoke Hypnos beds and many other additional features to enhance your stay. In addition to the lovely bedrooms, Abbey Hotel also boasts two of the most elegant venues in Bath – Allium restaurant and the ArtBar. Head chef Rupert Taylor, who has previously worked at several Michelin-starred restaurants, sources the finest local and seasonal produce to create rich, beautifully presented and imaginative cuisine in a relaxed and informal atmosphere. For those in search of comfort food, there are also a good number of simpler dishes on the menu which benefit from Rupert’s top level culinary skills. Artbar takes its name from the Taylor’s growing art collection, and this is definitely a temple to the art of cocktail. All the classics are well represented on the menu (including 64 versions of that old standby the G&T), but there are also some fairly surprising creations, not to mention bespoke cocktails created by expert mixologists according to your own taste. Add a top selection of wine, beer, whiskies, snacks and a sophisticated atmosphere, and you are on to a winner. From April to October (weather depending) a wonderful garden bar pops up outside – one of the best spots in the city for some al fresco drinking and relaxation. Over the Christmas season, the space is transformed into a twinkling Après Ski bar, bringing a genuine Alpine atmosphere to Bath.